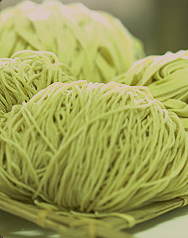 We are a leading manufacturer of fresh noodles in Singapore. We dedicate different production lines for various types of noodle. Chin Boon appears in Channel U - "Money Week"